Best-selling author Mary Baxter describes dreams, visions, and revelations of angels that God has given her. Explore the fascinating dynamics of angelic beings--their appearance, their assigned functions and roles, and how they operate, not only in the heavenly realms, but also in our lives here on earth. God's holy angels are magnificent beings who are His messengers and warriors sent to assist, sustain, protect, and deliver us through the power of Christ. A Divine Revelation of Angels by Mary Baxter was published by Whitaker House in January 2001 and is our 22120th best seller. 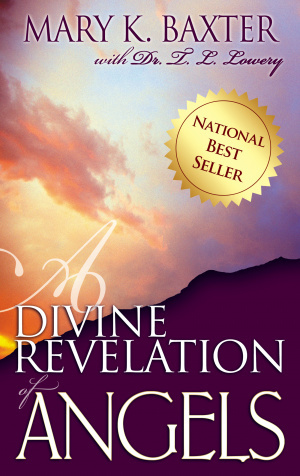 The ISBN for A Divine Revelation of Angels is 9780883688663. Be the first to review A Divine Revelation of Angels! Got a question? No problem! Just click here to ask us about A Divine Revelation of Angels.